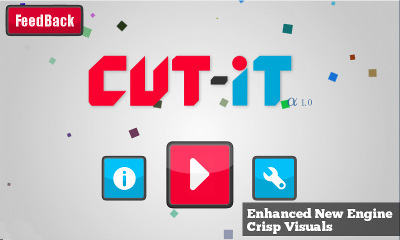 I’ve been working on and off on the expanded, re-engineered and enhanced Android version of the game Cut-it, which i already did as an online game. So is it going to be same as the old one. If not what are the extra features and additions. This post is an answer to that. (PS:This post has been in drafts for so long, probably a good thing, because so many changes have been made during that time). Old one was pure flash. That didn’t run well with the Mobile version. So a new Awesome Engine called ‘Starling’ is used. It uses the same structure as flash, so didn’t have to do much modifications to migrate the old code to new one. And it runs fast, real fast. In original Cut it, there is just a single mode. ie Just Cut and win the level. But i decided to explore further the possibilities provided by the physics engine and my imagination. So new Cut it will have more modes, for eg. 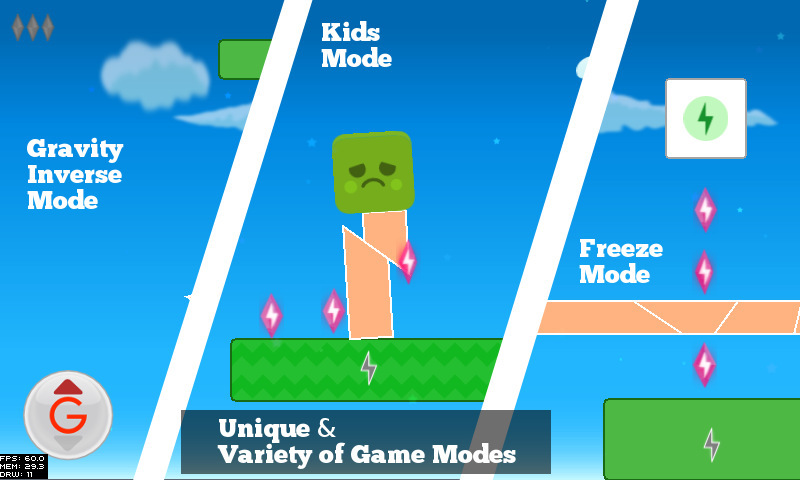 there is a gravity mode, where you can invert gravity, Freeze Mode, where you can cut while the level is freezed. And more modes is under construction. Designing for touch devices brought with it lot of difficulties. 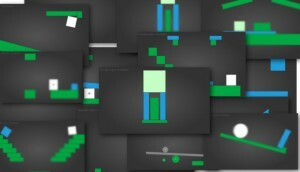 So had to drop many of my original level designs, since they work pretty well with a mouse not much well with finger. 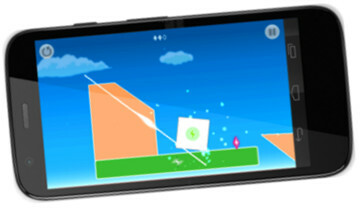 Levels must be designed so as not to be too close to screen edges, small enough for cutting etc. It was a real challenge. Original cut it had 30 levels. Now this one has around 80 levels, at the time of writing this. It was real hard coming up with new kinds of levels with the same kind of mechanics. 5. Introducing Gems. Shiny Collectible Gems. This was actually inspired by many games, especially Cut the Rope 2. Each level will contain 3 Gems to collect. The concept of gems has got several advantages. It minimizes the complexity in calculating score and provides the user a more visual feedback about their performance. 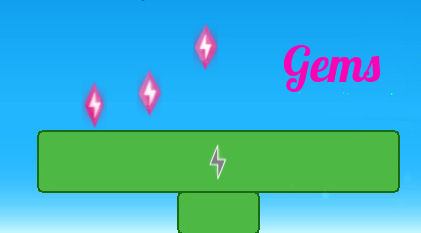 And it also allowed me to design level’s difficulty by placing gems along the hard to reach positions. But it also made me to drop several of my original levels, because they weren’t designed with gems in mind. Interface is redesigned with touch devices in mind. Swiping was added lately. And finally, i really liked the touch version more than the web version, since touching offers more interactivity than clicking and dragging the mouse (in this game). Hope this new features will be delightful for the physics puzzle gamers out there.